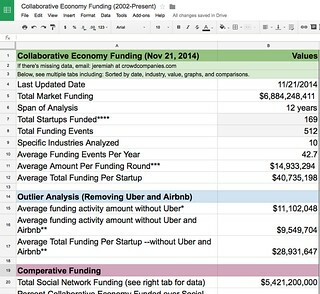 Click on the above image, or you can advance to the Spreadsheet of the Collaborative Economy Funding, to see a multi-tab analysis of funding, which I update on a regular basis. Caveat: This sheet is incomplete: People continually submit new data to me, and early stage funding is often not reported in public. 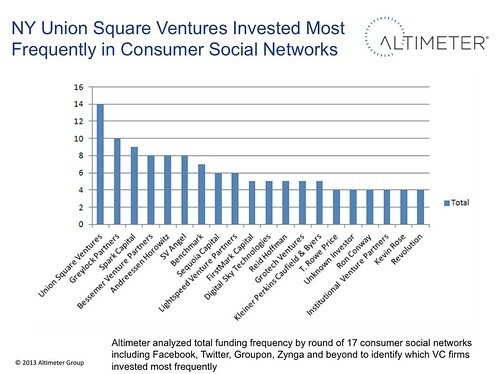 Over the years, I’ve analyzed social network funding and the resulting social business software funding, and can see some patterns that are likely to repeat. Don’t expect most of these startups to succeed, as many are clones in a winner-take-all marketplace. Funding continues to pour in, and I expect us to cross the $7 billion marker in just a few months. Transportation dominates the funding space, with Uber, Lyft, and BlaBlaCar taking the lion’s share. This is “market one” to be impacted, as there are significant numbers of idle vehicles that can be activated using mobile technologies. Crowdfunding, P2P Lending and other crowd-based currency industries are next, closely followed by physical space, and physical goods. Expect additional funding to follow in these categories. I hope this sheet provides additional market clarity. You can use this funding data to forecast which types of startups will matter in the coming years. I had created a sheet tracking 2014 data, as I saw a surge in Q2. I am now abandoning that for the above sheet, due to the initial project success. 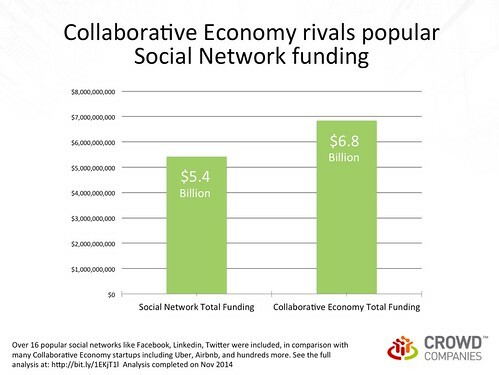 Continued analysis of market funding in the Collaborative Economy. 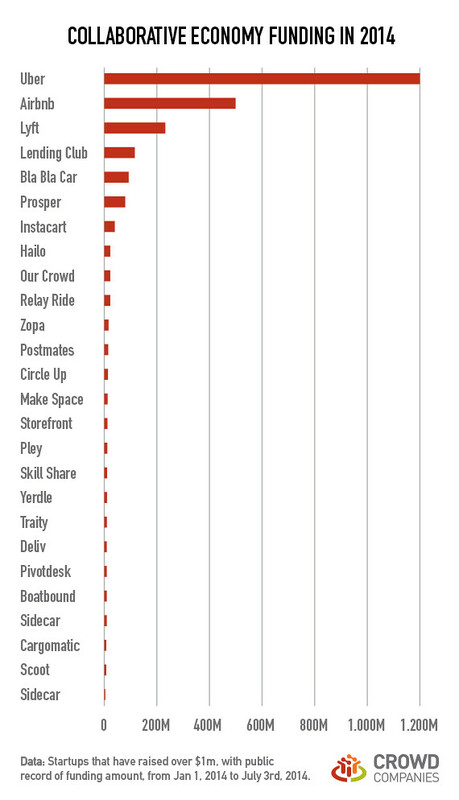 Yesterday’s stunning news of European ridesharing company, BlaBlaCar prompted me to tally up the funding in 2014. Along with help from industry experts Lisa Gansky of Mesh Labs, Neal Gorenflo of Shareable, Mike Walsh of Structure VC and Michelle Regner of Near-Me. I tallied funding if the startup was over $1 million and there was a public record of the funding. 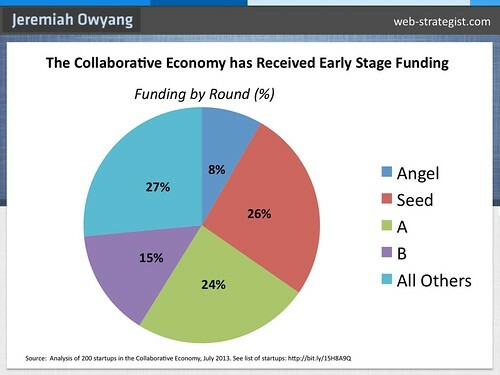 I’ve published my analysis of funding in this movement before, from the banner funding month in April, the frequency of top VCs and my larger body of work looking at funding in the Collaborative Economy and Social Business. 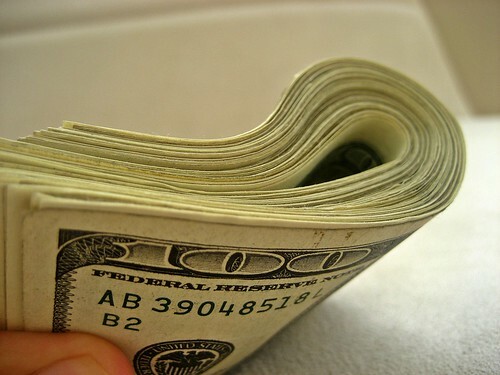 In the first half of 2014, the average funding amount, is a whopping $102 million. The findings are stunning. I’ve not seen this much investment in tech startups for some time. Some data highlights: In seven short months, there’s been at least 24 distinct funding instances of at least $1 million or more in investment funding. Of those, Uber received the lion’s share of a whopping $1.2 billion in investment for global growth and product expansion. On average, $102 million is the common amount, but if you strip off the Uber investment, Airbnb, Lyft, and Lending Club are lower in investment amount, bringing the average closer to $52 million, which is still very high. You can access the Google sheet with this data by date, industry, and size. Please note the numbers are shifting as new data is being added. Above image is the same data. 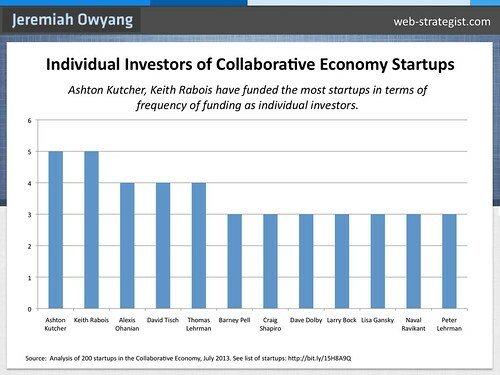 Conclusion: Investors love the Collaborative Economy – But will it bust? 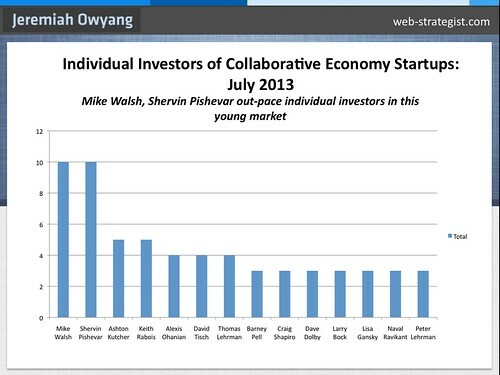 So, why are investors betting big on the Collaborative Economy? 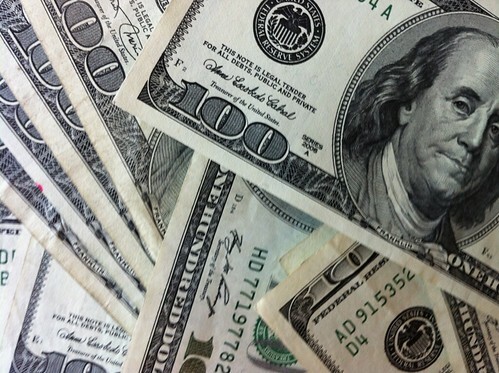 These scalable business models run on top of highly adopted social and mobile technologies. 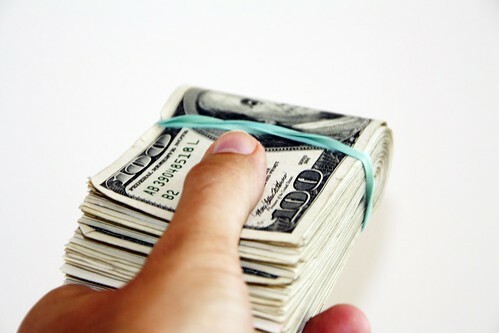 They offer a high frequency of transactions, with low operating costs. They are also disrupting traditional corporate business models, as they are more efficient by leveraging internet of everything, mobile devices, apps, and payment platforms. Neal Gorenflo reminded me that these startups cause the incumbents to wail in the media, creating incredible low cost PR value, which in turn attracts more customers. In summary: Investors expect these startups to be highly profitable and are betting down big.